In the year 1500, Pedro Alvares Cabral claimed the area for the Portuguese Empire. Brazil is the largest Portuguese-speaking country in the world. Officially, today it is called The Federative Republic of Brazil. It is the largest country in both Latin and South America covering 3.2 million miles and has a population of 208 million people. The capital of Brazil is Brasilia and the most populated city is Sao Paulo. The official language is Portuguese. It is one of the most multicultural countries in the world due to a century of immigration. It has immigrants from Portugal, Spain, Germany, Italy, Hungary, Jews, Angola and many more. This had a tremendous impact on the way Brazil developed as a nation. Having so many diverse cultures, it has been difficult to govern them all effectively. This led to many decades of military rule. One thing all of the immigrants had in common was their love of beef. The “gauchos”(cowboy) learned from a tribe called the Tupe-Guarani was to use a stick as a skewer to cook their meat over an open flame. The gauchos would put their meat on the horses neck to season it for the evening meal. 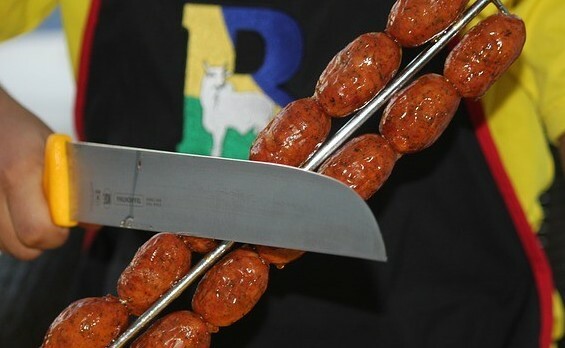 The Brazilians still love their meat a little salty to this day. Churrasco was born in Brazil and is a favorite way to grill meat to this day. When the Portuguese first started colonizing Brazil, near the pampas(grasslands), they observed the semi-nomadic tribes of that are using sticks to cook their meat next to the campfire. They realized how much more efficient this manner of cooking was. The gauchos needed to be able to carry their food with them since they were following large herds of cattle across the grasslands and this was a quick, easy solution for them. They taught this manner of cooking to the cooks for the large ranches. It made it easier to feed large numbers of people this way and was thought of as a way to entertain for special occasions. Another thing that brought about the popularity of churrasco was finding gold in Brazil in 1690. The miners adopted this manner of cooking since they would be far from home while they mined. Brazil had one of the largest finds of gold in the Americas. The bandeirantes(explorers) often of mixed heritage would organize into small groups and go into the interior of Brazil looking for gold and indigenous people to enslave for work in the mines and for selling later for a profit. They too adopted the same manner of cooking for its efficiency and the delicious taste of finely cooked meat. The method of the churrasco was catching on quickly and in a short time was the preffered method of cooking a large amount of meat. Simply put, they observed and learned from people native to the area a better way to cook meat. There was rarely any waste because of the manner in which it was cut. There was little waste because there was little fat to throw away and the hides were used as leather in various forms. Just exactly what is churrasco? Churrasco is the art of cooking meat on a skewer. The skewers look to be the size of small swords and can handle large weights of meat. 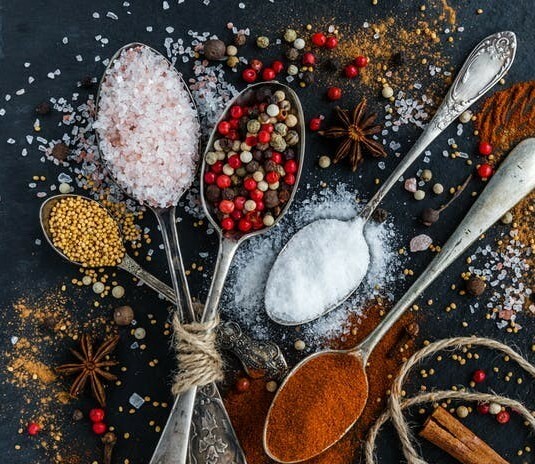 The meat traditionally has one seasoning on it when it is cooked and that is the equivalent of north american rock salt used to make ice cream with. The reason such a coarse salt is used is to have it act as another cooking surface. The most common method of cooking the picanha is to form it into a C and push it onto a large skewer, season with coarse salt(rock salt) and place it on the grill. You need to have a very hot grill. One of the favorite meats to use in the churrasco is the picanha. The picanha is a triangular piece of meat cut from the rump of the beef. 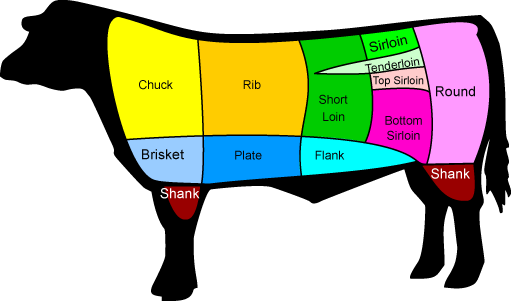 In the United States it is known as the “rump cut” or top sirloin. You must be sure to get a piece that has a good fatcap on it to enhance the flavor of the meat. The best results come when you make several criss-cross cuts on the fatback. This enables the juices from the fatback the opportunity to tenderize the meat that is cooking on the inside. Everyone has a different desired doneness to their meat ( rare, medium-rare, medium, medium-well and well-done). As the picanha is cooked, the server will come to your table and slice it off for you to put on your plate. The remainder will be returned to the grill to be re seasoned and re grilled. This manner of grilling makes it possible for everyone to get the doneness they desire and to avoid wasting any of the picanha. Another method of grilling the picanha is to sear both sides, cut into steaks and finish grilling. The above chart on the left illustrates the cuts of beef that are popular in Brazil while the cuts on the right illustrate the most popular cuts in the United States. I have found that the best way to get the best results for various recipes is to start with the right cut of meat or meats. You may have to take a copy of the butchers chart with you to your specialty shop in order to get the right cut of meat for your celebration. At first, I had difficulty finding the right cut of meat in our local grocery store market. I looked at the specialty shops without any luck and decided that I must not be communicating properly since I did not grow up speaking butcher. I decided to take a butchers chart with me that showed Brazilian cuts and that solved my problem on the cut. I had read all of the descriptions on how to grill the picanha and so I set off to try to duplicate what they did in Brazil. What a flavorful treat it was. The Brazilians certainly know how to do picanha. It is absolutely delicious. I hope this YouTube video will help you enjoy the deliciousness of the picanha. Argentine grilling is more than grilling. It is a tradition passed on from father to son. It is never deviated from. The gauchos(cowboys) were the first to introduce grilling to Argentina in 1536. The gauchos were mostly of Italian descent and so a great deal of Italian style flavor was added to the Argentine diet. Argentine grilling is called asado and the pit master is called an asador while the grill is called a parrillo. The asador is an honored position which is passed on from father to son. Some asadors can claim to have a lineage that literally goes back centuries. The asado is centered around beef. The asado does not begin until the asador arrives and inspects everything. I mean absolutely everything. He inspects the wood for the fire. He inspects the meats to be sure they are of the quality and the correct amount of meat for the asado. He inspects the parrilla to make sure it is in good repair and the correct size. Once the asador has completed his inspection and it is worthy then the asado may begin but not before. The asador assumes a leadership role from the beginning to the end. The asador assigns duties to a variety of assistants. There is someone assigned to be in charge of the fire. There is someone who is assigned to be in charge of the meats. There is someone assigned for the sides to be served. The asado is a village wide event. They are held as a celebration of a baptism, anniversary, founding of the village and more. If there is an event that involves the entire village you can bet there will be an asado. Since the fire for the Asado is done open air, it is composed of hardwoods that have been seasoned to burn hot give off coals that will retain their heat for hours. The fire is traditionally built in an enclosure that is open on the front. If the asador has trouble lighting the fire he will use newspaper as a tinder to start the fire but will not use an accelerant like starter fluid. This adds chemicals to the fire that change the taste of the meat. The tools of the asador are rake, shovel and extra long tongs. Once the desired embers or coals is reached, the asador will put the parrilla(grill) in place to begin the cooking process. The parrilla is placed about 6 inches over the coals to catch the best temperature for the thicker cuts of meat. 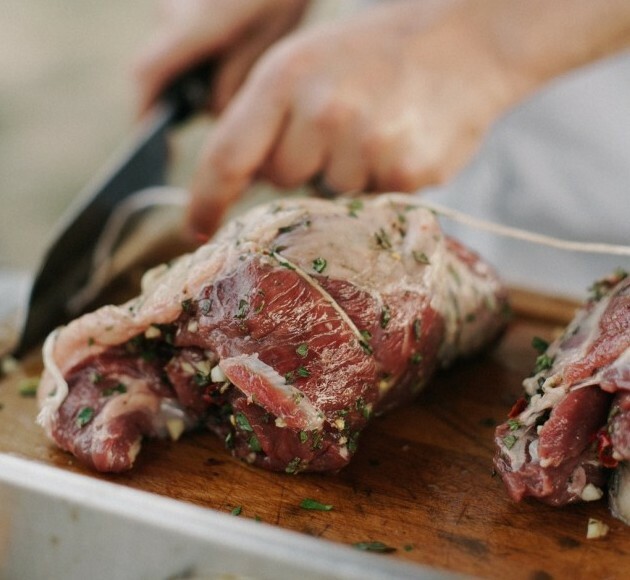 If you are looking for the best meats for the asado then you need look no further than the grasslands of the Pampas. Argentinians prefer grassfed beef over any other. 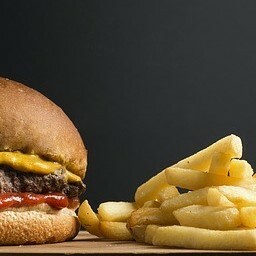 They eat approximately 160 pounds of beef per year where the people of the United States eat a mere 87 pounds per year. The gauchos who followed the herds across the Pampas plains made their mark on how meat was grilled in Argentina. They brought their style of cooking and seasoning to the area. They cooked low and slow and had the tastiest and most tender meats the area had ever known. 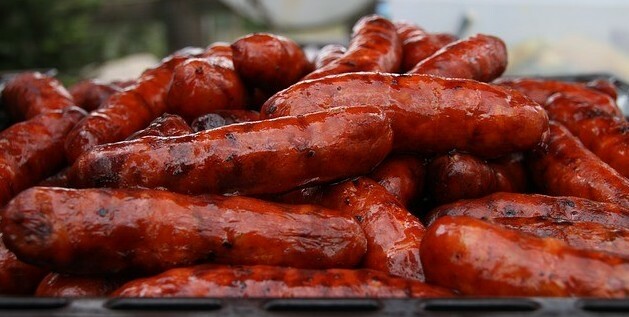 If you are looking for the asado to be a quick event you would be sadly mistake. A typical asado will last hours. The meats are all the best cuts. The meats will be cooked largest pieces first, then the next smaller cut and so on down the line but they are all cooked the same. All of them are cooked low and slow. The Argentines prefer their meat to be medium well to well done. These cuts of meat include but are not limited to ribs, chorizo, black pudding, and sweet breads. Another two favorite cuts of meat are vacio(flank steak and entrana(skirt steak). These are both flavorful and work well on the parrillo. As the meat is cooked, the flames are gone but the heat remains. The asadors of Argentina have devised a method where even if there is a flareup none of the flame touches the meat but burns off naturally. The reason it doesn’t touch the meat is the parilla grates have grooves on them to channel the fats and juices away from the meat thereby keeping the meat away from any flareups and keeping the desired flavor of the meat intact. Another type of food that is commonly grilled are peppers and vegetables. The entire meal on average has a little over one pound of meat per person. There are very few sides served at an asado. There may be a side salad consisting of tomato, oil and a white wine vinegar which pairs well with the meat of the asado. Do not be surprised if you get a round of applause. This is customary and besides you have earned the attention for a job well done. There may be a chimichurri sauce as well. The best vegetables come from your garden is you know how the vegetables were raised and if any fertilizer was used and what type of fertilizer. This is so important because of the implications of what over fertilization can do to your health. Another good place to buy vegetables is from the Farmer’s Market. The Market is a good source of high quality vegetables that come from trusted sources. Most farmers will tell you what type of fertilizers were used and what type of soil and amendments. You will want to keep your selection of vegetables simple when you first start grilling vegetables. One of the reasons to keep your selection simple in the beginning is to learn how to grill them to bring out the fullness of flavor of the vegetables. Stay with the vegetables that you know. If you have children that will be present. I have found that if you make it fun for them during the preparation and the grilling process they will be more likely to eat them. Some vegetables I have found that kids like grilled are carrots, eggplant, corn on the cob and zucchini. Some kids like grilled green beans, broccoli and cauliflower. It all depends upon what you can get them to try. It goes back to involving them in the prep process and doing it in a positive way to peak their interest. 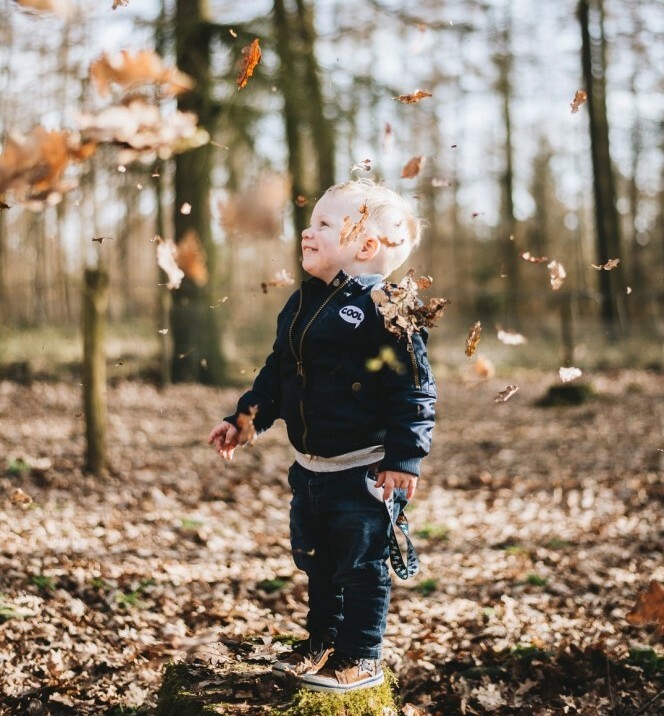 Most kids are naturally curious. When you prep your vegetables, you need to be sure to clean them thoroughly and properly. The reason I say this is you do not want to use warm or hot water on mushrooms since this will cause them to discolor. You will want to use cold water to clean your vegetables with. NEVER use even a mild detergent on your vegetables since you will not be able to get all of the residue off. Some vegetables are tricky to cook since they are so full of water. One example is portabella mushrooms and another example is zucchini. These two vegetables while both having an abundance of water in them are grilled totally in different ways. many spices. I generally just cook the caps finishing with the cap side down to make sure I don’t get water mixed in with the other items I grill. No one likes soggy food. Zucchini on the other hand can take many more spices. and rubs and depending upon the cut may take longer to cook. Some people will quarter the zucchini and others will slice it. Personally I just use a little olive oil and cook over medium high heat. I always try to use fresh herbs and either olive oil or canola oil on my vegetables. I never use one that will overpower the flavor of the vegetable that I am grilling. You always want to use a herb or spice that complements the vegetable of choice. For example, you would not want to use fennel with zucchini but you would want to use cumin with jalapenos. The main thing is to have a working knowledge of which spices and herbs work well with the vegetables you are grilling. It is in my opinion a good thing to experiment to see if there is a combination that works better for you than what you currently have experienced. The main thing about grilling vegetables is to stay with them since they will cook quickly. The have a great deal of water in them so cook them thoroughly and not over cook them. You will want to have some char on them but not much. Once you get the hang of it you will not want to have them any other way. They are absolutely delicious and are good for you. Shrimp or prawns as they are callled in some parts of the world are absolutely delicious. They are small crustaceans the look a bit like a tiny lobster. They can be boiled, fried, broiled or grilled. They come in a variety of sizes from tiny to collossal. A small shrimp will be around 100 per pound while a collosal will be no more than 20 per pound. Shrimp are found all around the world. They are found in the Americas, Mediterrean, Asia, Africa, Europe, Australia, and the Middle East. There are thousands of different recipes for cooking shrimp. 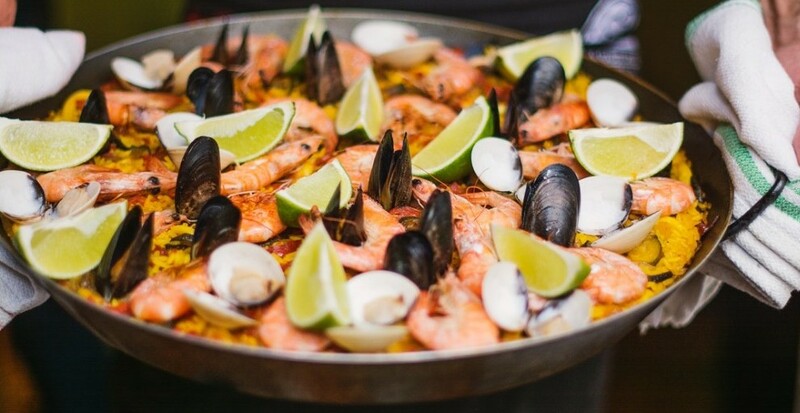 The earliest known cook books with shrimp recipes were from the fourth and fifth centuries from the Greeks and Romans. The Greeks would wrap shrimp in fig leaves and bake them while the Romans would fry or roast the shrimp then drizzle with honey. In the early United States shrimp came for southern coastal waters. Shrimp in the United States have been popular since the early 1800’s. Alabama was one of the first states to harvest shrimp on a large scale basis. It was so popular that they would ship shrimp across the state packed in ice on railroad cars. Across the state line in Mississippi, they became very skilled in processing and packaging shrimp to the point where Biloxi became known as the Shrimp Capital of the world. As cannning became more popular the need for more shrimp grew by leaps and bounds, shrimp became a staple on the American table. Recipes began to pop up everywhere. One that I had never heard of but has became a classic of southern cooking is shrimp and grits and is listed in most southern cook books. Shrimp has been a favorite of the Chinese since the seventh century. Shrimp is such a favorite of the Chinese that in 1280 Marco Polo mentioned it in one of his travels. Since 2005, Chinese imports of shrimp have more than doubled and is showing signs that the increase will continue in double digits for the forseeable future. 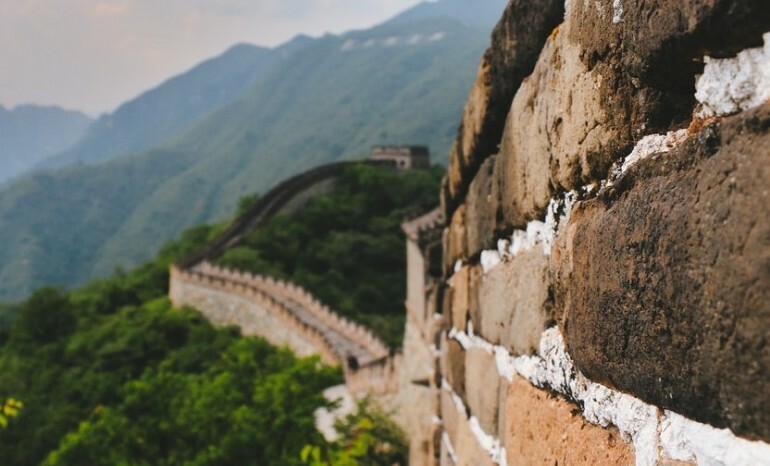 The Chinese consume more than 1.7 million tons per year. China imports shrimp from around the world but primarily from five countries: Ecuador, Argentina, India, Indonesia and Thailand. There are other that sell to China as well but not enough to affect the market. 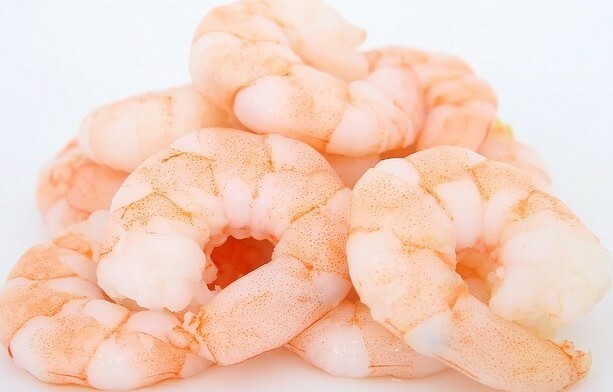 China is now the number one importer of shrimp in the world. For years shrimp has been known as a food to stay away from because of the high cholesterol content, there are also other vitamins and minerals that put that to bed. Shrimp are high in Omega-3 and Omega-6 fatty acids. Both of these fatty acids are known to help the cardiovascular and nervous system. These also help reduce the risk of obesity, high blood pressure and type 2 diabetes. Selenuim defeciency has been linked to heart failure, type 2 diabetes, depression, and a compromised cognitive function. Astaxanthin helps reduce the risk of colon cancer and helps to improve the nervous system and teh musculoskelatal system and in certain diabetes-related illnesses. Shrimp skewers are very easy to prepare. First you need to decide whether you want them deveined or not. You will have to decide if you want them shell on or shell off. You will have to decide if you want to marinate or not. All of these questions need to be answered before you pick up your first skewer. I always look for the deveined since I dislike deveining them myself. It is not hard to do. You can either take the shell off or take a sharp paring knife and split the back of the shell exposing the meat underneath. Take the paring knife and split down the middle of the back to get the mudvein out. The mudvein is visible through the meat. There is no harm in leaving the mudvein in, it is just a matter of preference. 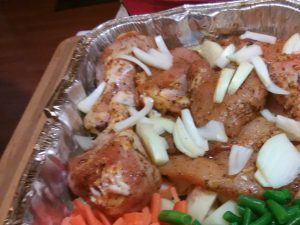 If you are going to marinate then be sure not to marinate for more than 30 minutes. This will overpower the flavor of the shrimp. Take your skewer in one hand insert skewer through the tail end of the the shrimp, place the other ingredients on the skewer. Take another skewer and insert through the “head” of the shrimp and the other items to grill. I like to use two skewers to make sure that my food stays in one place. Cook 2 – 3 minutes per side on medium-high heat. The shrimp should be a pink white to be done. My brother Larry and myself had a very good reason to celebrate. Larry had gone to the hospital to have an outpatient procedure done to determine if he had lung cancer. The tumors that had been detected two weeks earlier had shrank to the point the pathologist would not be able to do a biopsy after all. The pathologist and radiologist were both surprised since they had never seen a tumor shrink without medication or radiation. Larry and I both were overjoyed and thankful of this news. We decided to go out for seafood for dinner that night. restaurant. We decided to stay. We felt confident that we had come to the right place. The restaurant seated around 400 hundred people and had a service staff of around 100. I thought since there were so many poeple that service would be mediocre at best. I was in for a huge shock. The service was outstanding. We were in for a complete shock! As we went in to try to find a seat, Larry remarked to me that we were in the wrong restaurant. I was surprised since Larry does not make that kind of mistake. He asked if I wanted to stay or to go to the restaurant he had searched for. I told him that I preferred to stay since we were already there. We went to the Hostess and asked for a table for two. We were expecting to wait for thirty minutes or longer after looking at the line in front of us. I was to find out later this was typical of a Wednesday night at “Pappasito’s Cantina”. In less than five minutes, we were seated. Our server was with us in less than two minutes. This again was astonishing to me in such a busy restaurant. Our server was very helpful and willing to help us with our selection and appetizer. Our server was very knowledgeable about our selection, preparation and availability. For our appetizer, we had butterflied shrimp(prawns) stuffed with crab cakes. The stuffed shrimp was awesome. The shrimp was butterflied in the shell and them grilled. There was a lime based sauce to go with the shrimp. The sauce was paired perfectly to the shrimp. It was incredible. Normally, when shrimp are grilled in the shell there will be a part of it that is not completely cooked. It appeared that the style of cooking was based off of the style common to that of the North Pacific Coast. Larry and I ordered the grilled Atlantic Salmon. I have found that salmon can be easy to overcook. Our salmon arrived at our table less than ten minutes after our appetizer. I love grilled fish of any kind and could hardly wait to try the salmon from Pappasito’s. I was not disappointed with it. It was flavorful, flaky and hot. Most times when ordering fish in a busy restaurant, the fish is most often luke-warm at best. This was literally right off the grill. There was a signature sauce that came with the salmon. The salmon was quite tasty alone but when you added the sauce with to it WOW. The sauce not only added to the flavor of the salmon but enhanced it as well. I would have to say that my experience at “Pappasito’s Cantina” was one of the best dining experiences that I have ever had. The food was exceptional. The service was outstanding. The overall atmosphere was one where you not only enjoyed your mean but enjoyed the people around you. The restaurant was exceptionally clean for one of its size and caliber. I would rate this particular restaurant as 4.5 out of five. I would recommend going to PAPPASITOS.com to find the one nearest your location. The do also take reservations. Even if you are a beginner at grilling and you want have a party, that is not a problem. Here are a few tips you might want to review. Are you having a party? What kind? Where at? When will it be? Is it a Themed Party? Family or Friends? Formal or informal? These are all questions that you have to ask yourself when you get ready to have a party. You will need to know the number of guests. This includes family gatherings. If you are only doing the grilling you should add just a little extra in case there are some unexpected guests and whether someone will want more than was originally portioned for them. If a themed event you will want to decorate accordingly. For example, it the event is to be western, you may want to get some replicas of a cow skull with some succulents(cactus) around the skull. You might also want to have a metal wash tub filled with bottle drinks. The table should have a gingham table cloth and the silverware, if not plastic, should have a kerchief with a wooden ring around it to hold the kerchief in place. You will have to make sure that there is sufficient seating for everyone. If there are children at the occasion then be sure to have some games for them to play. Some of the games that I have found to be popular with children and adults alike at this type of party are horseshoes, washers, badminton and other games similar to these. So you are having a Family Gathering, you have never hosted one before and you have been asked to grill for 50 people. You are new to grilling and have never grilled for so many people and have no idea how to get everything set up for such an occasion. Just relax and start asking yourself a few basic questions. Am I expected to prepare everything? What type of help will I get? What type of food for so many? Where can we have such an event? This should not be a problem as family members always want to give advice. Most likely, the family gathering will be held at the person’s house that has the most outside space. If not, you could rent a pavilion in a park. You would be assured of the extra space that way. You can grill your meat ahead of time if it is a large piece or two of meat. You would want to reheat it just before the event started. Since this is a family event have other family members supply the sides. 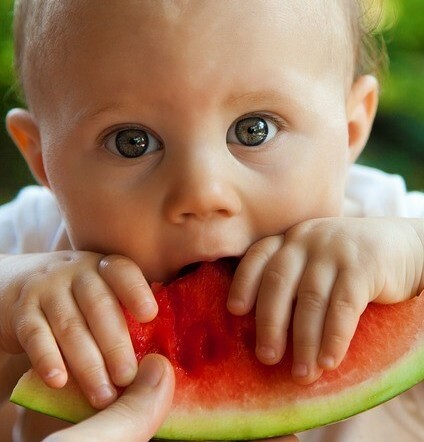 You may want to have someone bring watermelon that is chilled for desert . Have games set up for the children. This will do a couple of things for you. 1) it will keep them active and out from underfoot as everything is being set up. 2) it will help them to develop long-term relationships with relatives they do not always have the benefit of seeing on a regular basis. 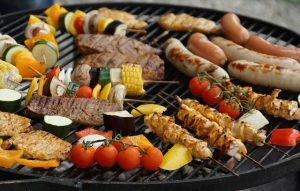 Some say that a Garden Party is the wrong place to grill, it all depends upon what the occasion is and what the menu is. With a garden party, there is much more planning than there is for a family gathering. You need someone who is very detailed oriented to plan your event. You will also want to RSVP to have an accurate count for the number of guests. A garden party on average has around 200 guests and can be either semi formal or formal. Today, we will look at the semi formal. When you plan your garden party make sure that the venue will have enough space to handle as many as 200 guests at one time. 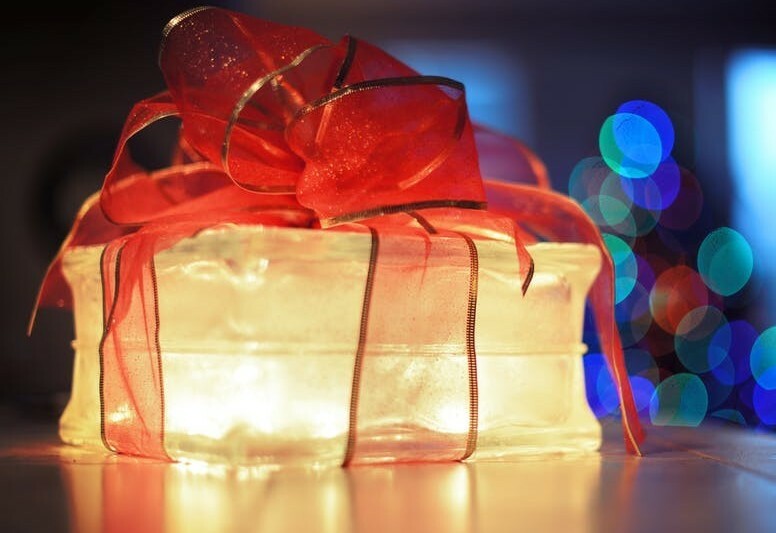 You will need to have your decorations for the party ordered at least one month in advance. This should ensure that if there is a problem with the decorations others can be ordered to replace the original decorations. Look at the grounds where the garden party is to be held and envision the decorations needed to go with the theme the host(ess) has expressed to you for the event. Some of the decorations that I have seen are side tables set off to one side with enough seating for five to six people to sit at together. Others have had three to four round tables with umbrellas put closely together for privacy. Another option is to have long tables set up for dining with either a table runner or with tiles to take the place of trivets. You may want to set up a side bar since some garden parties do not serve alcohol. Even if alcohol is not served you will want your guest to be able to find a refreshing drink at any time. If the party is to be held in the late afternoon, you will want to have several canopies or pavilions available to give the guests plenty of shade not only to cool off but to sit and relax with others for a quiet conversation. Should your event be in the evening, you will want the footpath to be lighted in order to see the pathway. You could use solar powered lights that can be bought from most hardware stores for a small price. You can also use chinese lanterns or string lights. Some of the more common meats for a garden party are smoked ham thinly sliced, brisket thinly sliced or thinly sliced turkey breast. You chef can be preparing these on the grill three to four hours before the guests arrive. One of my favorite drinks is freshly made lemonade with lemon zest and raspberries. When grilling for a formal occasion, you will need to RSVP to have an accurate count for the event. You will want to hire a caterer and a decorator. The caterer and decorator will need to discuss how the event is to be decorated in order to have a safe event. If there is a special theme, both teams will have to be on the same page. This is to ensure that there is a smooth professional look to the occasion. Some events have an open bar, some do not. There will most certainly be a head table for dignitaries and other honored guests. Some of which will be the guest speaker, the guest of honor and several other speakers as well. The seating closest to the head table most often reserved for the guests who had participated in the overall planning or sponsoring of the formal affair. A formal affair is normally what is called a black tie affair. This is where the men most often wear a tuxedo and the women wear formal gowns. It is considered a gala event. Not all formal affairs are black tie. It depends upon the region as to what food is cooked. I have seen brisket and I have seen steaks. These are best done on the grill. Steaks can be done easily but a brisket needs to be finished cooking two to three hours ahead of time. This is to allow the brisket the opportunity to rest before slicing. 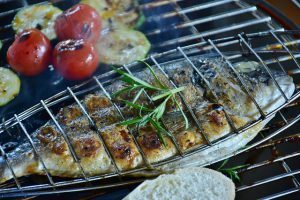 There is one thing that is common to these three types of grill for social events. PLANNING! You have to plan every aspect of the event. Double check your plan with someone else and ask questions about everything. The more questions you ask the greater your understanding will be. This will lead to a well planned and successful event. A day or two after the event is over contact the organizer of the event for feedback. This will give you ideas on what you did well and what you need to improve upon. Please leave comments below. This will help me to bring you information that is relevant to your situation. The art of Japanese grilling comes from centuries ago when the fishermen of northern Japan went out to sea. The fishermen would take hot coal and bento boxes. The bento boxes would be packed with rice, fruit and meat(mostly fish). The boxes would keep all of the ingredients separated until it was time to cook. Binchotan charcoal reaches back to around 12,000 BC. It is one the most popular charcoals developed and in great demand in Asia. When the drippings from the meat drop onto the charcoal and the steam arises from it the resultant smoke envelops the meat and instead of causing a bitter flavor as it does in the United States. Most manufacturers use a dry distillation process that literally forces all fluids out of the wood. The wood comes from the Kishu province in the Wakayama Prefecture. What to say about this amazing charcoal, most American grills cannot handle this type of charcoal. The binchotan is made from the umabe white oak. The wood is processed using a dry distillation process that literally forces all fluids out of the wood. The remaining charcoal will reach temperatures well above 1000 C. In Japanese grilling the charcoal is the most important part of the grilling process. The Japanese consumer wants to know where the binchotan is from so that they will know what the quality of the charcoal is. Binchotan is used in virtually every style of Japanese grilling. There are a couple of features that are outstanding. One is that even though it burns so hot, with proper attention you can get some of the most flavorful food. The other thing is after you have finished using the binchotan you can put it in cold water and let it dry out for one to two days and reuse the unburned portion. Yakitori literally means grilled meat. In Japanese society, western style barbeque was influenced by writer Kanagaki Robun in 1872. The emperor Meiji became a part of a campaign to re-introduce beef into the Japanese diet and was seen eating beef publicly. This happened after the prohibition on eating beef was lifted. It is one of the more refined styles of grilling. 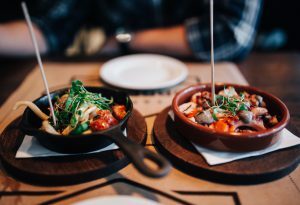 It allows a group of people to come together while elevating the flavor of the food by using simple preparation to form a more intimate setting for the participants. Teppanyaki Style grilling is a more modern form of cooking. It became popular after World War II. It commonly uses an iron plate and is also called a flattop. This style of cooking became famous by the restaurant chain Benihama. The teppanyaki style cooking chefs undergo years of vigorous training for the use of knives, fork and spatula. They also learn the art form associated with each of these as well as which foods need to be pared together. While they do their cooking on the flattop, they use a minimal amount of seasonings during the cooking process. 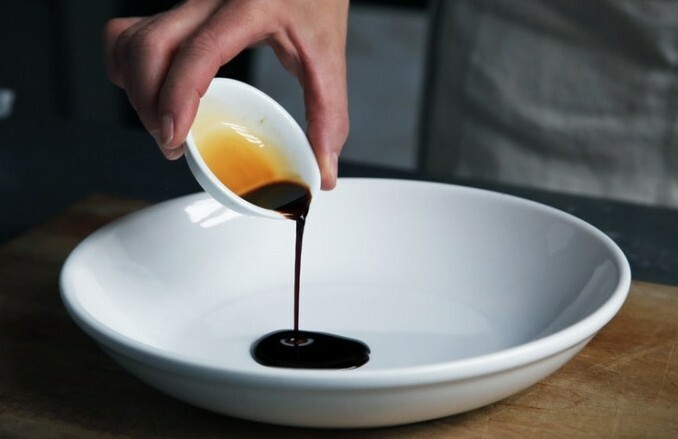 They prepare numerous sauces that are designed to go with that particular meal. 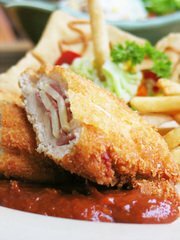 The menu varies from restaurant to restaurant but is basically the same in order of presentation. You start with an appetizer course followed by soup/salad followed by seafood course followed by meat(typically beef) followed by dessert. Teppanyaki is the Japanese version of an American Steak House. They feature their domestic beef such as the way beef, Matsutaka, Omi, and Kobe beef all of these have magnificent marbling, low fat, and exquisite flavor. Robata-style grilling is said the have its origins from the Japanese Tea Ceremony. Most of the older homes in Japan have a pit that has been dug in the center of the living space. The pit would have in it binchotan charcoal and suspended over the pit would be a chain where you hooked your tea kettle to heat. Now the chain also would play host to a variety of other pots that were used in the preparation of the meal. After you have learned how to cook with binchotan, you know that the only flame you will ever see on the binchotan will be from the grease that cooked out of the meat. This will only be there for a second as the cloud of smoke envelops the meat and gives it that woody flavor associated with binchotan. The only way to adjust the temperature while using binchotan is to adjust the distance from the heat. This is totally different than using a stove where you can set the temperature and leave it. There is a saying in Japan “Never leave the binchotan”. 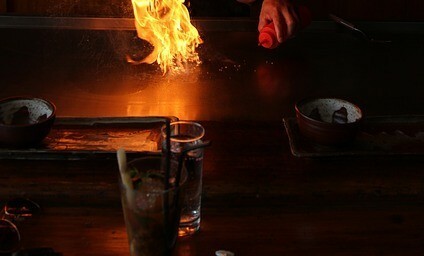 Hibachi is the Western name for shichirin or konro which translated means fire bowl. The hibachi was originally used for indoor heating and warming water. It was originally carved from cypress and inlaid with clay. It transformed from that to ornamental ceramic or porcelain. It has since undergone another change to being made out of steel and cast iron which is prevalent today. Shichirin or konro are the preferred Japanese terms to this type of cooking and cooking utensil. The best are made from diatomaceous earth. They were best known for how well they retained heat and how evenly it was distributed throughout the vessel. Most of these vessels whether they are called hibachi or shichirin have a long metal rod running the length of the firebox instead of grates. 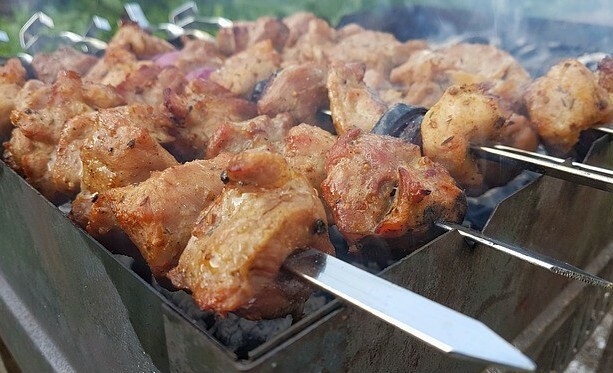 The unused ends of the skewers are allowed to rest on the sides of the box over the charcoal to allow the food to cook evenly until it is time to be consumed. Hibachis are regaining their popularity from the 1980s mainly because most households have 2 to 4 people living there. Also, space is becoming smaller in the apartments and duplexes that are being built today. 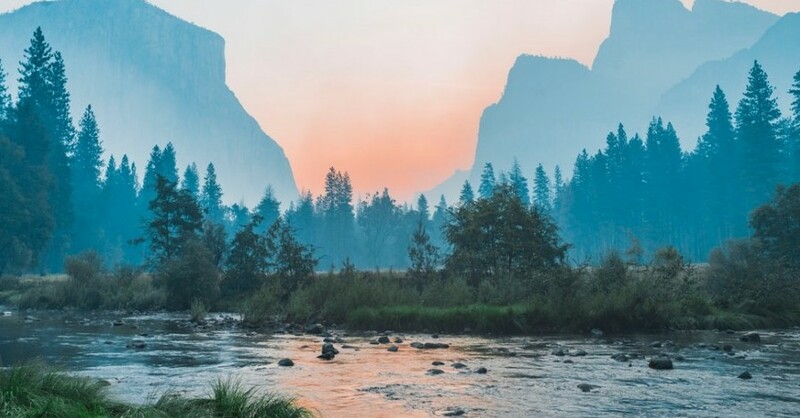 My wife and I recently went on a three-day trip partially to get away from our children and partially to have some alone time that we had not had in over thirty years. We deliberately took a small portable grill and two portable gas grills. We found the gas grills to be convenient but they just did not give us the flavor that we wanted. We ended up using the portable charcoal grill almost exclusively. We had better flavor and it brought neighbors from all around us to stop in to see what we were cooking. We visited for a while and exchanged recipes about how we prepared and cooked various items. Almost all agreed that cooking with charcoal or wood was the best way. A large number of them live in apartments and have to follow the rules of the management company that manages the apartments. This means that they grill either with gas or electric, that all depends upon whether or not there is a policy against open flames. Have you ever lived in an apartment and had the desire to grill something but had no way to do so? Have you ever lived in a duplex and had a desire to have barbeque and not be able to have it? Most apartment buildings restrict or even prohibit the use of grills. Partly due to the threat of fire and resident complaints and partially due to the cost of cleanup due to smoke damage. There should never be a charcoal or gas grill used indoors for those very reasons. No need to worry. Most apartments today have open air balconies and patios that are not restricted in most cases. The grill manufacturing industry has seen the need for smaller more versatile grills than ever before. There are a wide variety of mini-grills available today that were not available a few years ago. The grilling industry is showing a trend of mini-grills going upward for the next 5-7 years. The number of grills in growing by leaps and bounds. The price varies from $20.00 upwards. 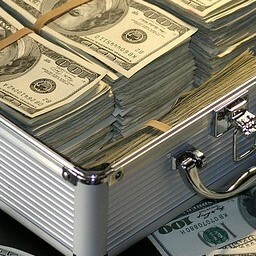 Some of which are over $1000.00. Weber QW 1200 is a 13″ gas grill. Everdure is a 10″ portable charcoal grill. Lotusgrill is a 12″ charcoal grill that heats rapidly and is compact. Napoleon Travel 285 is a portable grill with 285 sq in of cook space and uses gas. Cobb Compact CO800 is a 12″ charcoal grill with teflon coated grates. It is very easy to transport. Barbecook Joya is a 10″ charcoal grill that is easily transportable. Char-Broil Standard Propane Gas Grill has 187 sq in of cook space with a chrome-plated grilling grate and the legs fold over the top of the grill for transportation. Smoke Hollow 205 Stainless Steel Table Top has 205 sq in” cook space. It is made of stainless steel and is easy to carry. It has a compact design with a locking lid and folding legs and a very large carry handle. It uses a one pound canister of propane but it can be converted to a 20 pound tank. Weber 1211001 Jumbo Joe Portable Grill is a gas grill with 240 sq in of cook space. It has a diameter of 18.5 inches made of plated steel. It is rust resistant and has an aluminum dampener and ash catcher. It has a glass reinforced handle. Char-Griller 2-2424 Table Top Charcoal Grill has 250 sq in cook space. It has cast iron grates and a removable ash pan. It can also be attached to a number of Char-Grill’s other products as a smoker. It may take a little effort to transport but cooks really well(worth the carry). Lodge 2410 Pre-Seasoned Charcoal Grill has two adjustable temperature cooking levels. It is a hibatchi style grill. It has a flip door used in regulating heat. It must be washed by hand otherwise you will lose the seasoning and have to re-season and possibly void the warranty. Isumer Portable Foldable Tabletop Charcoal BBQ Grill has 278 sq in of cook space(196 on the main and 82 on the warm rack). It has four folding legs that fold next to the body of the grill. It is easy to carry and has many uses and stores in a small space. The list that I have shown here is not all inclusive by any means. There are some wonderful grills to select from.You will have to decide which one you prefer and how much you want to pay. I did not list any electric grills here at this time. I would look for names like: Masterbuilt Grills; American Gas Grill; Coleman; Char-Broil; Char-Grill; Weber; JiaWang; E-Rover; or Bull Outdoor to name a few. There is little difference worldwide in grilling. The basics are the same high heat or low heat. The use of high heat is a style that is used in the United States more often than anywhere else in the world. Today, we are going to take a look at grilling in Mexico. The first region that we will look at is The Northern Region. The northern region is adjacent to the United States with part of it being separated by the Rio Grande River. Northern Mexico is very similar to the Southwestern United States. During the summer it is dry and hot in most places, while during the winter it is cold or mild at best. There are mountains and valleys with cascading waterfalls. Since a great deal of it is on a large plateau, it was great for raising cattle, goats and sheep. Cattle was king as it was in the United States. The Spanish brought wheat which they turned into flour. They showed the native population how to use wheat flour to make tortillas instead of the corn tortillas they had been used for centuries. The flour tortillas did not mold as easily as corn tortillas and so the flour tortillas were used more often. There were times the Spanish were forced by drought or little rain to feed the cattle the pods from the mesquite tree and the cattle would drop the seeds in the perfect medium to start new trees. There are rivers all across northern Mexico that made it easy to grow a variety of crops. These crops included tomatoes, chiles, onions and avocados. These are used to make some of the signature dishes for which Mexico is famous for salsa and guacamole. Mexico is home to thirty varieties of chiles. Mesquite wood was the most available wood for cooking so the Mexicans incorporated it into their daily lives. Mexicans like people everywhere would cook what was most readily available. 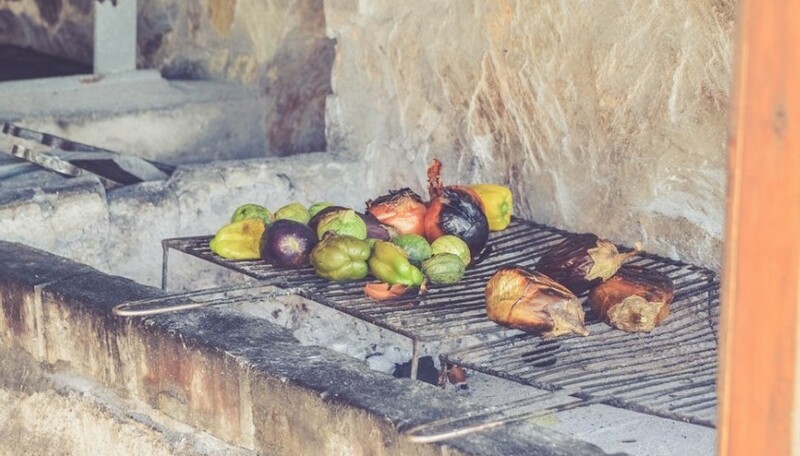 One of the most common ways to grill in northern Mexico is al carbon which means over charcoal or wood. One of the most common dishes uses a 3/4″ chuck steak grilled over mesquite and combined with salsa and pico de gallo which marries the Mexican and Spanish dishes together perfectly. The next region that we will look at is the North Pacific Coast. A dish that is well-known and popular is Shrimp Salad Alcapulco-Style. Cooked shrimp is chilled in a spicy tomato sauce and served with saltine crackers. Chayote squash is served as a side dish and was a favorite of the Aztecs. The next region that we will take a quick look at is The Pacific South Coast. The Pacific South Coast has a large amount of mountains and deep valleys. The cuisine was little affected by Europeans. The Mixtec and Zapotec kept most of their cooking traditions and are known for their seven varieties of mole and their version of mozzarella cheese. 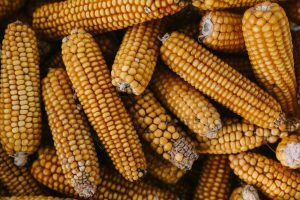 Corn is another staple of the region. Black beans and chocolate are favorites of the native people. Tortillas are eaten at every meal. Dishes of the South Pacific Coast are: Manchamanteles-tablecloth stainer. This mole is made from fruit and is baked and served with chicken or pork. Enfrijoladas are corn tortillas dipped in black bean sauce and topped with queso fresco and creama. Tamales cooked in banana leaves instead of corn husks. Mexican Hot Chocolate where the chocolate is from Mayordomo. Mexcal is a form of tequila made from several different types of agave(cactus). Over 90percent is from the type of agave found in Oaxacan. The agave pinas are worked in a pit to give it a smoky flavor. The United States is the largest importer of Mexcal. Queso Oaxacan is a stretchy mild cheese found in chile releno and empanadas. The Bajio is the next region that we will briefly explore. The Bajio is situated south of Northern Mexico, The North Pacific Coast and north of the Pacific South Coast and Central Mexico and east of The Gulf. It has beautiful mountains breathtaking waterfalls and lush, fertile land. Along the pacific coast are beautiful sights filled with mountains on one side and the pacific ocean on the other side. Empanadas are corn turnovers filled with poblano peppers and Oaxaca cheese. Carnitas originated in Michoacan. Carnitas are similar to pulled pork in the United States. The biggest difference is the seasonings that are used. In the Bajio, green chiles, onion, garlic and fresh squeezed lime juice are the main seasonings while in the United States a dry rub is used consisting of a variety of spices. Both are cooked 8 to 9 hours and are pull apart tender when done. Pozole is a hominy stew. There are two types of pozole. Sopa Verde is a type of hominy stew made with tomatillos, sorrel, serrano Chile, and pumpkin seed. The other type of pozole rojo which is made with chile, spices and pork. The next region that we will touch upon is The South. The South contains the Yucatan peninsula and acts as a barrier between the Caribbean sea and the Gulf of Mexico. The cuisine of the South is a blend of Mayan, Caribbean, and several Mid-Eastern countries. Achiote is the dominant spice of the region. Habaneros are used as a condiment with many dishes. Tamarind, plums, mamey, and avocados are used as condiments or as an ingredient in a dish. Some of the dishes of the South are Percad en Macun, which is to say salmon rubbed with achiote layered with tomato, onion, and chile dulce cooked in a banana leaf and served with morisqueta rice and plaintains. Chiltomate is a habanero and tomato salsa which is typical Yucatan food. The next region that we are going to explore a bit is The Gulf. This area is strongly influenced by the Spanish and Afro-Caribbean cultures. One of the biggest influences came from the Europeans when they brought parsley, thyme, bay leaf, cilantro and mayora. They also brought rice, citrus fruit and pineapple. Some of the more popular dishes include Ceviche Gulf-Style which happens to be rock cod cooked in lime juice and served with a sweet spicy red sauce. Sopa de Mariscos is a spicy seafood stew that has rockfish, shrimp, mussels and clams. The main spices in this stew are saffron, chiles and tomatoes. The next region we are going to explore is Central Mexico which includes Mexico City. The food of Mexico City is from around the world. 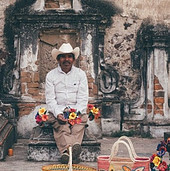 You can find street vendors everywhere selling their wares. Some of the more popular dishes include Mexican-Style Tortas. This is a street favorite made from a thick slice of queso fresco with tomatoes, avacado, jalapenos and lettuce. Chicken Torta which is served on a bread roll. It is covered with thinly pounded chicken breasts, smashed beans, avacado, jalapenos and lettuce. There are several more that we will explore at a later date. There is one thing that is common with most of the foods described here. Most of the meat is grilled slowly to the perfect tenderness. There is a device that is handed down from one generation to the next which is called a comal. It is slightly larger than a tortilla and is used to grill meats in a hurry. The Char-Grill 2-2424 table-top charcoal grill and side firebox is one of the easiest to use as a grill or as a side firebox. It has 250 square inches of cook space with cast iron grates to cook on. It keeps the heat extremely well since it is constructed from heavy-duty steel with a black exterior powder-coated finish to help reduce rusting. You can use it as a Texas style horizontal smoker or a standalone grill. It also has a slide-out ash bin for ease of cleanup and has a stay cool handle to make it convenient to open and close. This side firebox will fit several of the Char-Grill line of grill : Duo; Wrangler; Pro Deluxe and Outlaw. 15 minutes for the entire process. After you have installed your firebox you are ready to fire this puppy up and start smoking. Or if you wanted just fix a couple of burgers to break it in that’s fine too. The firebox is maintained the same way that you maintain your regular grill. Clean your grates with your brush. After your grill has cooled down, then dump your ash to help prevent rusting. You have no need to re-season your grates if they came pre-seasoned. This firebox should serve you well for years. The Char-Grill products that I have used over the years have stood the test of time. I have one that has been heavily used for over 15 years and have only had to replace the ash pan once. Everything else is original. I have no rust or paint pealing. The other that I was given as a birthday gift 8 years ago and I have never had to replace any of the gas lines or any other equipment. They have both been extremely durable and well put together. Submitted 2 years ago By Neil From Perth, Scotland Bought one for my patio after wanting a real charcoal taste – gas just didn’t cut it. Very impressed with the heavy steel construction and design features. Followed the instructions to season the grates, body etc – looking and tasting good. Now going to purchase the Wrangler as I want to try smoking. Submitted 2 years ago By Smoked Ron From United States Got this thing to add a little smoking capability to my gas grill. All the cut outs are in place and it only takes a few hits of the hammer to knock them out for install. I did add some sealer around the box connection as there was a little room for smoke to escape. This really does give you a great option for grilling and smoking if your not wanting to buy a whole new setup. Submitted 2 years ago By Neil From Seattle, WA I used some bonus money to get a slightly larger small grille than my other portable with smaller steel grate. Removable tray very convenient, Nice size for a small 2-4 people cookout.. Now considering getting the wrangler to use this as a side box! I have limited space on my Deck so good way to go and the food is delicious! Great Bang for the Buck! Submitted 1 year ago By Deepc From United States Followed the side mount instructions and it tilts horribly. Had to go to the hardware store and get longer bolts and washers for spacers to fix the problem. All customer review content came from CharGriller.com. Where does the idea for the competition come from? Generally, the idea for the event or competition comes from a need in the community or company where they are going to have a need for additional funds or equipment. The organizers look for different ways to overcome that obstacle and decide on an idea that fits their requirements. The concept for having a fundraiser is centuries old. Fundraisers seem to be more prevalent in the United States than in any other country. Fundraising has been raised to an art form in some parts of the United States especially in the large urban areas for special projects. In the smaller communities fundraisers are sometimes the only way to raise money due to government regulations on how much money the smaller community may receive from the State or Federal government. The community is left with a shortfall in revenue since the community has taxed the citizens to the legal extent of the law. The purpose of the fundraiser that I am involved in is to raise money for our local Fire Department that falls into the category of budget allocations. While it is fully funded, the Fire Department does not have the funds to buy some of the more expensive equipment that it needs. We are having the First Annual Brisket Cookoff in our community. I am helping to organize this fundraiser to help my community. I feel that all citizens in our community to help in whatever capacity they can. It is going to be a grand event with motorcycles, a band, the blood mobile for donating blood and several other events. After you have determined the purpose of your fundraiser, it is best to set up a committee to determine the size and scope of the responsibilities for the committee. You will need to determine how many sponsors you will need, what if any prizes will be awarded, the judges, where the event is to take place, if it is will be a team competition or individual, time of the event, age restrictions if applicable, and whether or not alcohol will be allowed. You will need to determine what type of security will be needed. It is always advisable to have a venue that will be large enough to handle the number of people who attend the event. After you have finished with your committee, make a plan of action and assign people to various tasks. Assign one to finding a location, another to securing any necessary drinks. Have another locating sponsors. You will need someone to check on liability for the event. Someone will need to secure any dry goods such as paper plates, cutlery, cups or any other dry goods that are needed. You may need lighting or electricity for one reason or another. You always need to set up a contingency plan in the event that your event was planned outside and the weather does not cooperate with you. You will either need to postpone the event or to have it indoors. If you, decide to have the event inside then you will need a facility that is large enough to handle the number of people attending. If the alternate venue is not large enough then it would probably be to postpone until a later date. 10. List all media covering the event. Here we are the day of the event. Two to three hours before the event begins arrive at the site of the and start to go over the lineup. This will include but not limited to putting the teams in their appropriate locations. Make sure that electricity is at all appropriate locations. If security is needed then you will need to check with the head of security. Be sure to talk to prize officials and verify that prizes are accounted for. If there is going to be a first aid station make sure that it is properly displayed and staffed. Have all judges present for the prize giveaway. When deadline time has arrived enforce the time policy that was clearly stated unless otherwise directed. Have security patrol the event to control or remove any and all persons that do not follow, city, county or state laws for this type of venue. After the event is over, have all vendors police the area and clean up the event site. Inform the security chief that all has been cleaned and that the event area is secure. If any of the other event officials are still around get feedback from them as to how they viewed the event. Whether they thought it was a success of failure. If they thought it to be a failure ask them what could have been done differently to have made it better or an outright success. You always want feedback from the host of the event otherwise you will never know what areas to improve. The conclusion of the event occurs when everyone has gone, the venue has been secured, and you are out the gate to travel to your home or other destination. It is time to be especially safe for it has been a long day or night and all of the excitement that you had experienced has gone and you are exhausted. BE AWARE BE SAFE LIVE FOR THE NEXT DAY. Why I enjoy charcoal grills best. Which Charcoal Grill is Best For You? I enjoy grilling over any other form of cooking. You get a better flavor over conventional cooking. You save more of the vitamins and minerals over conventional cooking. Some say that with conventional cooking you have more control over the flame but I find that with a charcoal grill I have as much control as conventionally. It all comes from preparation, type of food, how many you are cooking for and how much time you want to have to visit with friends and family. If you want the best flavor go with charcoal. Charcoal has that nice smoky flavor that our ancestors from thousands of years ago to today looked forward to everyday. This is still true in some part of the world even today. You can even enhance your meal in the simplest of ways just by adding different flavor wood chips when you are grilling. Some of the different chips are cherry, peach, pecan, oak, mesquite, maple and hickory to name a few. Which charcoal grill is best? Don’t they all cook the same? Do they have special attachments? Do you have to treat them differently from one another? What most people look for in a charcoal grill is functionality, size and price. Here we will discuss some of those aspects. While it is true, they all functionally cook the same. There may be some features that will cause differences in cooking. For example, if you are not able to change the heat setting by changing the grill height or the distance of the coal from the cook surface will determine what you cook and how long you will cook. If you wanted to cook burgers it would not matter as much about the height of the coals but if you wanted to smoke a brisket it would matter a great deal. The difference is one requires a hot fast cooking time, where the other requires a long slow cooking time. Some grills have a warming tray while others do not or it has to be special ordered. Others the attachments are special order only, for example, the rotisserie attachment. Charcoal grills range in price starting at $15.00 for a throwaway grill to thousands of dollars for custom grill. It really depends upon how much you can afford to spend. What size grill? How much cooking space? Do you need any special attachments? Ease of cleanup? I like the Char-Grill 2137. One thing that I like about the 2137 is the amount of space available for grilling or smoking. You have a total grill space of 1063 sq in. That makes it possible to cook for friends and family at the same time for your backyard gathering. There is a bottom shelf for holding some of the tools that you will need to make your grilling There are hooks to hang your utensils on. The barrel is made from heavy-duty steel with a double bottom to help prevent rusting making for years of enjoyment. The cast iron grates spread the heat evenly thereby making it easy to lock the flavor in and add to the deliciousness factor. The flanged top gives you an airtight seal to help lock in the smoke flavor of your choice. It also has two wheels for ease of repositioning. The grill cover is sold separately. There are multiple affiliate marketers on this website. 5.0 out of 5 starsAwesome Grill, just ignore how they ship it to you. Overall, this is a high quality grill well worth the money. I expect to be using this for many years to come. 5.0 out of 5 starsWorks great, durable and affordable! high quality wood. The Legs and racks are made of a nice metal also. allows for easy access to the coals or wood underneath during cooking. aligning it with the legs and getting it all connected at the same time. shape, it might have gone easier. Usage is overall pretty good. and allows them to burn nice and hot and long to cook food very well. airflow, one at the bottom and then the flapper on the smoke stack. i can get it cooked right outside, which is always the best. Terrible quality. Chips and tears everywhere. After first use, part of the paint started to come out. Don’t buy this crap. The number of vegetables are almost as diverse as the number of cultures we have around the world. It is the way that we prepare the foods and the manner in which they are served. For example, in the United States a potato may be fried whereas in Ireland a potato may be boiled. Asparagus, which was previously placed in the lily family, is native to northwestern Europe and the Near East countries such as Syria and Egypt. Tomatoes on the other hand originated is Mexico. The number and variety of vegetables are widely used around the world since we now have a means to get them to market within a day or so while they are still fresh and full of flavor. While some vegetables are still within one small section of the globe due to restrictions by different governments to manage different diseases and a plant overtaking a native plant to keep it from being eradicated, those native vegetables are still quite tasty. 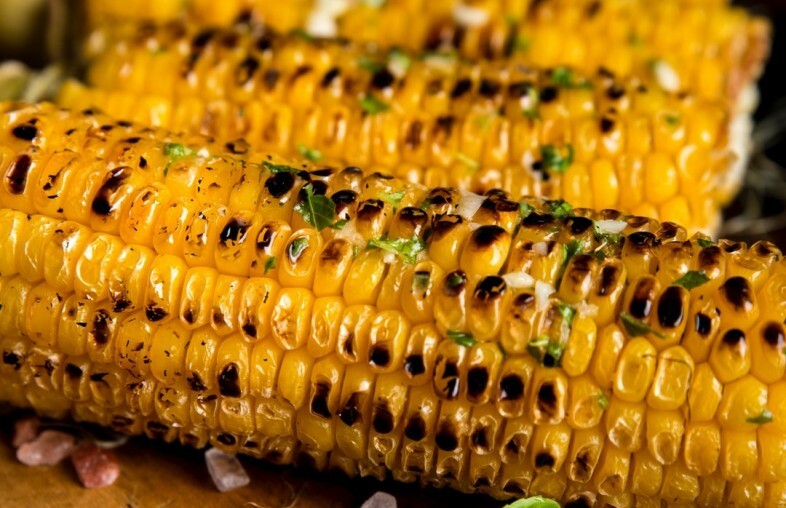 What are some of the benefits of grilling vegetables? Where to start? Our forebears found out about grilling, roasting, boiling and baking vegetables in the Stone Age, over the course of the years we have improved the technology a great deal. One thing, I suppose you could say we have retained from them, is our desire to cook outdoors with an open flame. We learned early that grilled vegetables retained and were enhanced by the flame. That rich smoky flavor could not be duplicated anywhere else. 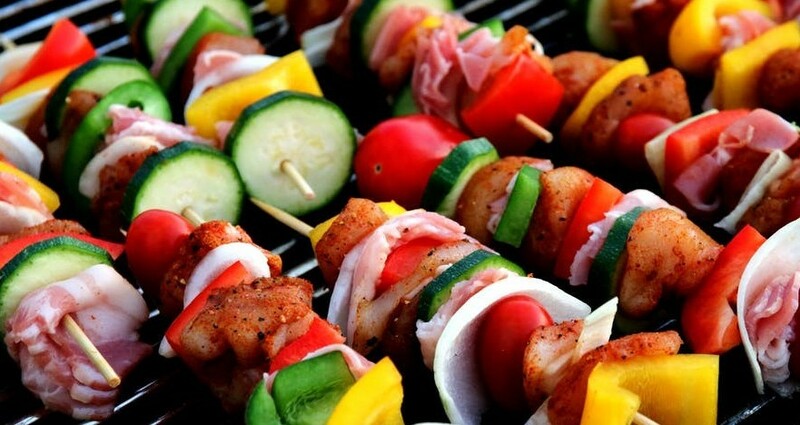 One of the best reasons to grill vegetables is to lock in the vitamins and minerals found in most vegetables. Depending upon the vegetable, you may have one that is high in iron and another high in Vitamin C or another high in folate. When combined with certain oils and spices it takes your vegetables from ordinary to extraordinary. The best way to grill vegetables is over medium heat, but it really depends upon which vegetable it is. For example, you would not grill a root vegetable the same length of time as you would a leafy vegetable. A root vegetable, like potatoes is much denser than a tomato and therefore requires a longer time to cook. When grilling your vegetables, you need to decide at what point you need to have them ready so that your meal is not delayed. 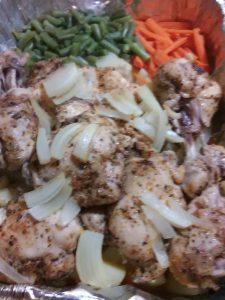 You need to decide whether or not you are going to use an oil, a marinade, spices or leave them plain. Generally speaking, what you need to do is thoroughly wash your vegetables, put your seasoning on your vegetables, place it upon the grill for the required amount of time, them remove it before the flavor is ruined by overcooking. Grilled vegetables are important when cooking for a number of reasons. They help you to maintain a healthy diet. It allows you to plan your meal with regard to the need of others for example a diabetic. 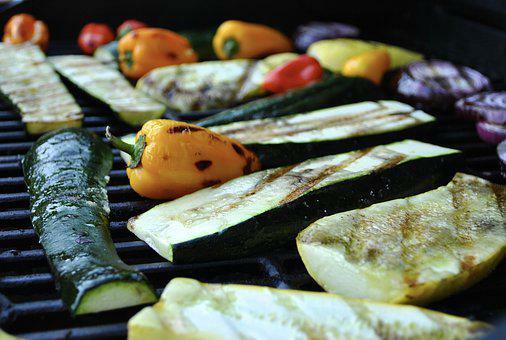 Vegetables when grilled most often give you more of the fiber, vitamins and minerals than any other way of cooking. You are able to retain a larger percentage of the vitamins and minerals which in turn will help you to build a healthy lifestyle. 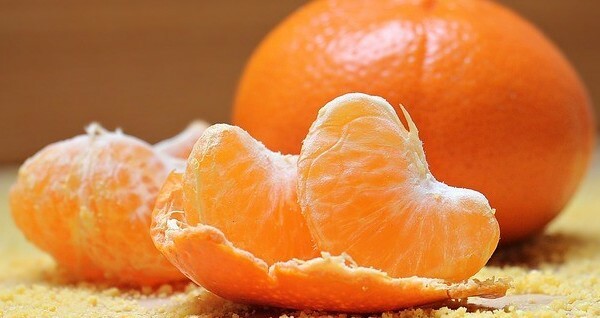 The number fruits from around the world are astonishing. It seems that the majority of our fruits are grown in the temperate zones. 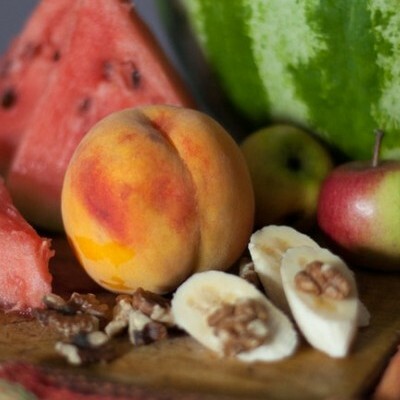 This is due to the climate being more flavorful for fruits to flourish than anywhere else on the planet. To my surprise, I found that there is no exact answer to that question. Apples alone have over 75,000 varieties, bananas have over 4,000 cousins. To be sure though, there are thousands upon thousands of fruits. 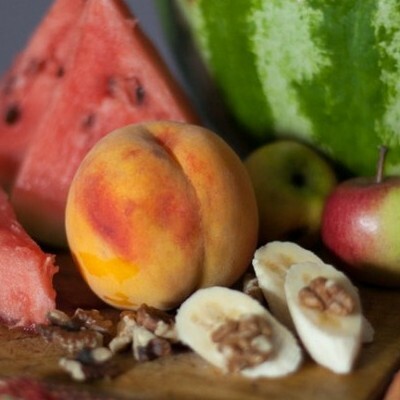 It may be difficult at times to find the right fruit to grill with your favorite dish but with a little thought and planning it is possible to find that one fruit. So when you go to grill your next meal, plan ahead and think of the fruit that you want to grill. It may be one that you want to showcase in your meal or it may be one that you want to wow everyone with as a special dessert. but fruits are full of dietary fiber vitamin B1 and folate acid to name but a few. It really depends upon the fruit. 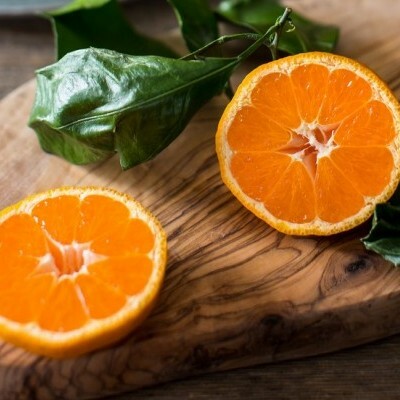 Say for example that you had several types of fruit some very dense and some were not but you wanted them all together at one time to serve for a meal or a snack. You take the more delicate and grill them first, probably in a basket, pan or foil. You would take the denser fruits and either place them directly on the grill or place them on a skewer. One of my favorite things to grill are berries, I place them in a cast iron pot with about a teaspoon of sugar and cook them for about 7 minutes at 275 (or until runny) and pour into a pastry cup. This is one of my favorite desserts and takes very little time. You can place some of the denser fruits on a skewer and grill them until there is a light char on the fruit and them turn them over for cooking on the other side. You nee to be careful not to overcook your skewers or they will taste scorched. I also like to take peaches or plums cut them in half from top to bottom, remove the pit, and place them cut side down on the grill for about 5 minutes. Check with your tongs to make sure they are not squishy. They still need to be semi-firm when you take them off the grill and top with ice cream, whipped topping or with peaches cinnamon. One important thing to note when grilling fruits is the flavor is more intense than when cooking either on the stovetop or in the oven. One of the reasons is the heat from the grill locks or seals the flavor in making the experience more intense. The flavor bursts in your mouth is a rich delicious surprise. You can combine different fruits together and get a very different more intense taste than you can with traditional cooking. Traditional cooking, while it is very good, does not have the same range when it comes to flavor(in my opinion). One of the most important things about grilling fruit is there is little loss of the vitamins and minerals that are naturally present. This is beneficial to you in that it helps you to maintain a healthier lifestyle. I once wondered why my parents were so firm when it came to eating my vegetables and never truly came to understand until I tried some that had been grilled. They never told me how wonderful they were. 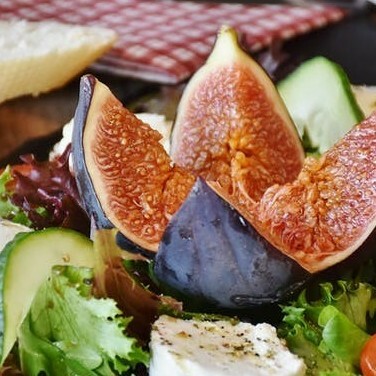 After a person becomes accustomed to eating grilled vegetables and fruits, they prefer that method over any other. This is partially due to the more natural flavor and the richness of the foods. It is not apparent until several months later that you are healthier and have more vitality than you had in the past. 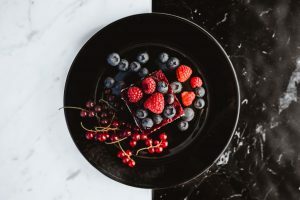 There are a couple of reasons for this, the first being that your body is getting the vitamins and minerals that it should and the other reason is that the food just simply tastes better. One word of caution though, since the fruits and vegetables taste so much better you will have to monitor your portion sizes more closely. 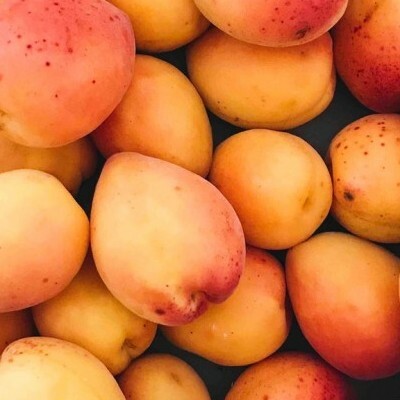 There are thousands of fruits and vegetables from around the world that are so delicious that you may have to go to your local and try a new one to see if you have found a new family favorite. Grilling was probably the first way of cooking. It goes back in time to Stone Age man. Down through the millennia man has found different uses of fire and cooking. 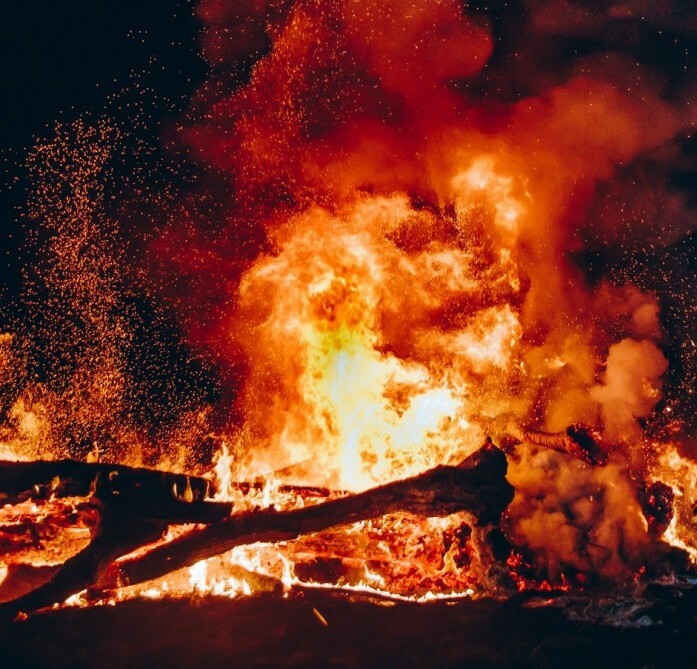 Some say that man came upon a carcass of an animal that had been killed in a forest fire and not wanting to let meat go to waste began to consume it. Sounds disgusting by our standards, this was man’s introduction to one of the benefits of fire. After two on three times of finding a carcass burned, man started to find ways to keep fire on hand in order to cook their meat. They found that the food digested easier and that kept longer than raw food. Mankind started looking for different ways to cook their food. He probably noticed that some of the carcasses that the community consumed had a type of fragrant grass on it that changed the way it tasted The first way to cook was to use a strong stick(limb) to place the meat away from the fire. Early man was very clever, he looked at his environment to find opportunities to improve his hunting abilities and to keep his kill fresh after the hunt. It would not have taken long to realize that by forming a pot out of clay that he could put meat herbs and water in a pot in order to cook it more slowly so that the older members of the community were able to eat without as much difficulty. He found that by digging a trench or hole in the ground that he could put limbs into it and burn the limbs leaving coals where he would be able to put a lattice of limbs over it in order to cook the kill and be able to get the cooked meat in order to keep from being burned by the coals or fire. This allowed the meat to cook longer which dried the meat out a little more and to keep longer. The pit also made it possible to place their crude pots to one side so that they could reuse the pots. Early man was the first conservationist, all of the tools they used were recycled until they were no longer usable. As time moved on, mankind found ways to adapt his method of grilling or roasting his meat. Mankind had found metal ore and had found a way to harden it so that he could make tools. He found that instead of using a stick(limb), he could now use a metal rod that he could use to spit his carcass with. He added a handle to his spit in order to turn his meat slowly so that it would cook more evenly. By using this spit it gave him more control that he had ever had before. He had already begun to use herbs and spices on his meat for better flavor but the metal spit gave him more control over the cook time. He found that by cooking slower over cooler coals gave a more tender piece of meat for eating than ever before. He found that he could enclose the fire somewhat to cook other things such as wheat, barley, lentil and other grains to supplement his diet. As he evolved, his desire for good food increased on a massive scale. Every society had its own special items that were cooked which helped to keep that society together. Some items common to most societies for cooking: beef, antelope(deer), fish, grains, pork and fowl. The methods of cooking most of these items are similar while the main differences come from the herbs and spices that they cooked with (which vary by region). Early man was limited to what he could use for cooking with, in the beginning was a stone that had been sharpened to a point and had a dual use(hunting and spearing meat). This tool was used extensively by all societies because of the ease with which it could be adapted. Next came a smaller version of the spear, the knife which could also be used for the same purposes as the spear but with a notable distinction. The knife since it was smaller could be used for a variety of purposes, skinning the animal, self defense, cutting some of the herbs and grains, scraping the hide of the animal that was providing the meat for the community, peeling back the skin of certain fruits the list goes on from here. As man evolved he found that he could do the same thing with the different metals that were available in the are but if no metal was available then he would barter with another tribe for what was needed in order to make or for the knife directly. Another tool that was used was something similar to tongs, a tool used to grab two sides of meat at the same time. A hook that was put into the meat (most common) that made it possible to pick the meat up from near the coals without being burned. A rudimentary spoon, which was made from a piece of wood. The wood had a depression either carved into it or was burned part of the way through and then polished to get the char out of it so that it would not effect the flavor of the meat. Man was still inventing tools to make life easier for all in the community. After centuries of eating better, man began to develop his brain capacity because of better nutrition. His reasoning increased at an astonishing rate due to better nutrition and having the time to stop and think things through. He began to look at cause and effect. His ability to reason through simple problems gave him the encouragement he needed to begin to seek answers to more complex problems such as tool making. The ability to learn that there are reasons for certain illnesses and what effects were beneficial and which were to be avoided. This also gave him the ability to recognize which foods to eat and which ones not to eat. He began to tame the animals around him to where he did not have to hunt continuously in order to eat. By taming his environment he was able to increase not only his food supply but his ability to find a mate and have offspring that stood a better chance of survival. Hello, my name is Jerry McCoy. I have been married for 34 years and have 3 sons, 2 grandsons, and 2 granddaughters. I have always tried to share my knowledge with others. One of the things that I have learned in life is that in our global society that more and more of our traditions have been lost. It is sad to think that in less than 100years that over 90 % of all of our traditions around the world will be lost. I am an advocate for learning but at the same time I feel that it is important to preserve as much of every culture as possible. The goal of Grilling – A Global Event is to educate people on different types of grilling. When you know several methods of grilling then you can prepare savory dishes for your family and guests which will open your mind to new areas. There are several different methods of grilling and they can be for any number of social occasions. 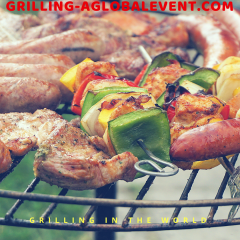 By learning the methods, foods and events grilling is used for you are able to include people from other ethnic and cultural backgrounds to your events thereby expanding your understanding of others.